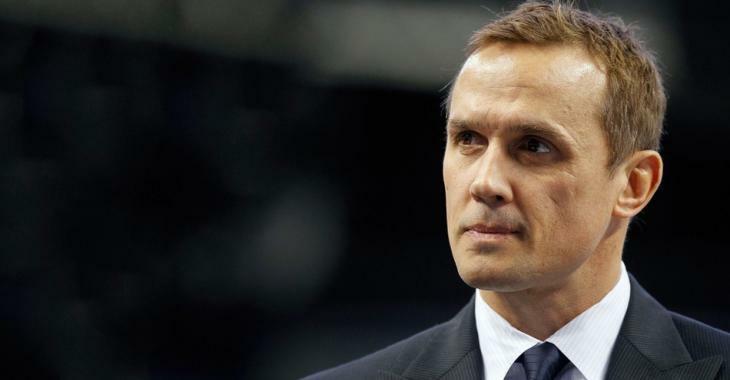 NHL News : New report indicates Yzerman set to join Red Wings organization? New report indicates Yzerman set to join Red Wings organization? “Obviously everybody knows by now that Steve Yzerman is in a senior advisory consultant role to new general manager Julien BrisBois of the Tampa Bay Lightning,” noted McKenzie. “For family and geographic reasons, Yzerman decided to go back to Michigan. “I’m not saying there’s been any discussions - because if there were it would be tampering - but I think everybody in hockey feels like Steve Yzerman is destined to end up with the Detroit Red Wings. “Now, Kenny Holland just signed a two-year extension prior to this season. I could envision - and this is just me spitballing, this is not anything that’s in place, I’m not reporting any breakthrough here - I’m spitballing and saying what I could see happening is Steve Yzerman coming in to run the fortunes of the Detroit Red Wings when his contract expires in Tampa after this coming season. “And I could see Kenny Holland moving up the food chain to make way for Yzerman, or I could see Kenny Holland maybe being a candidate or a possibility with the new Seattle expansion team. “And I don’t want to get too hung up on contracts and timing and what have you. I just think the conventional hockey wisdom amongst most of us in the game who do this for a living is we feel like Yzerman is going to be boots on the ground with the Detroit Red Wings sooner rather than later once his contract expires.